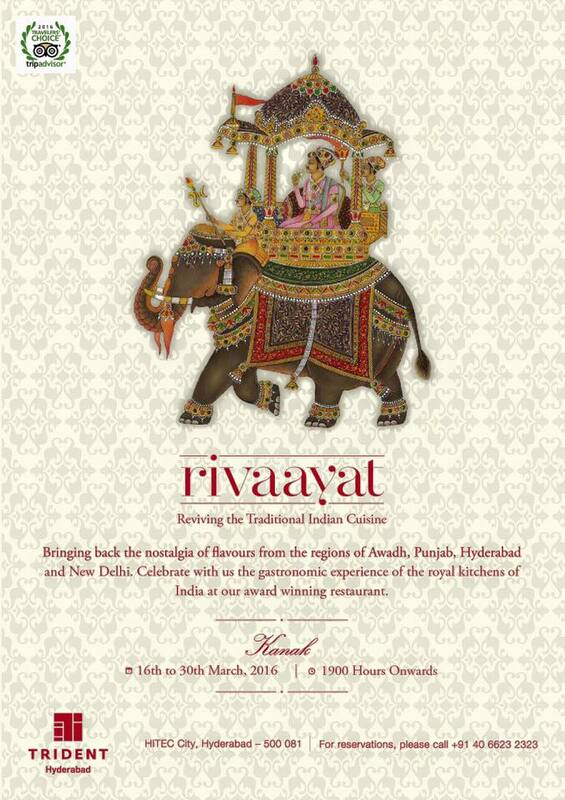 Rivaayat at the Oberoi Group of Hotels was perhaps one of the most successful food promotions of 2015. 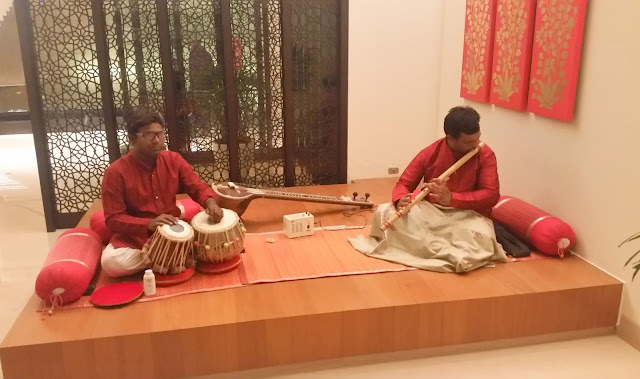 A collaboration between master chefs of various hotels of Oberoi group had resulted in the revival of many old recipes from the rakabdars and khansamas of yesteryears. Last year I had a great time exploring the food at The Trident Hyderabad, and you can read all about it here. On popular demand, the festival is back again at Kanak. There were lots of requests for the same menu to be available again, and the culinary team also felt that the food lovers of Hyderabad should be rewarded with one more run of the festival. The preview for the promotion had a special set menu curated by Executive Chef Manik Magotra. I had tried some of the items last year, but quite a few were new to me. 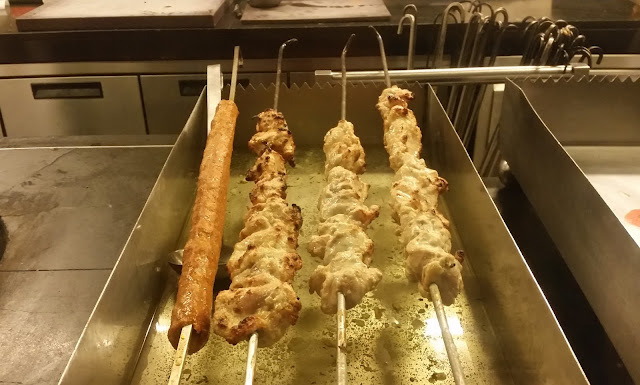 Through the open kitchen, it was enthralling to see the kababs being prepared as we nursed our drinks. Soon the items moved to our table, and after the customary photo sessions, we were ready to go. The pick of the starters served was Rampur Seekh Kabab. 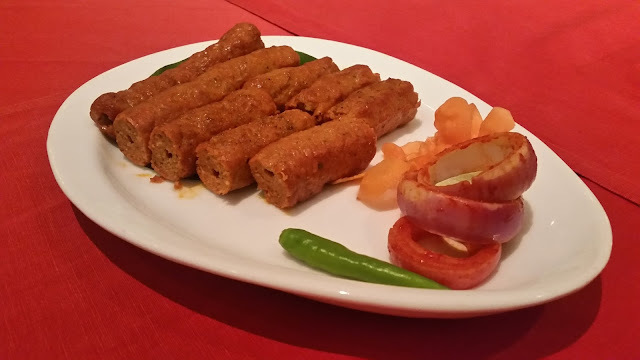 The lamb mince kabab was thick and soft and had the fragrant spice blends from the Rampur kitchen, an erstwhile kingdom near Awadh, where many of the rakabdars had migrated in the post-Mughal era. The menu also had the Rampuri Paneer Tikka, a dish I had tasted during my visit last year too. 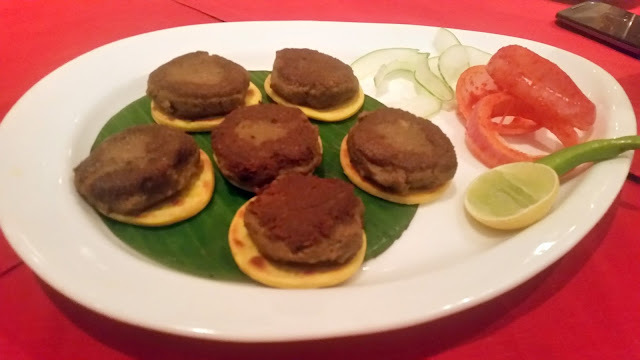 Khumb ki Galavat must have been a vegetarian’s delight – a soft Awadhi kabab prepared from minced mushrooms. Standalone, I enjoyed the dish, but I should be excused for this mental block of associating the word galawat to melt in the mouth lamb. 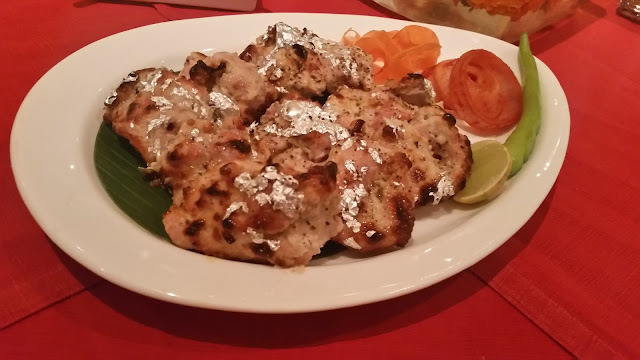 Murgh Chandi Tikka with a layer of varq had mild spices. I was once told that in some royal kitchens, varq or silver foil was placed on prepared food to ensure that the food is not tampered on its way to the table. This dish was a perfect foil to Patiala Peg, a brilliant cocktail at Kanak which has Scotch whisky with cardamom and cinnamon. Aloo Gosht would always appeal to the Bengali in me. 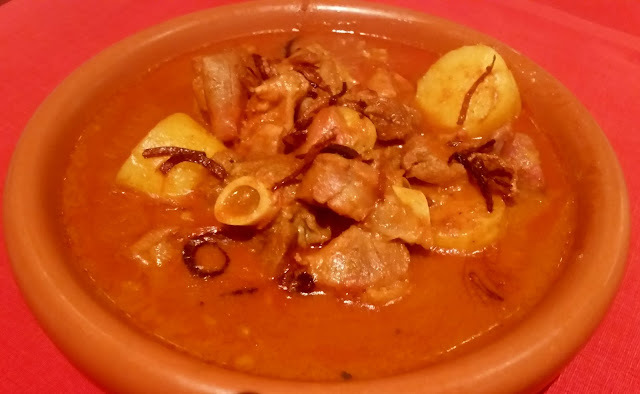 A light mutton gravy in whole spices, the potato draws in the gravy and becomes equally attractive as the meat. The mutton was very soft. I tried the gravy with some naans, but felt it would be as great with steamed rice or a mild pulav. 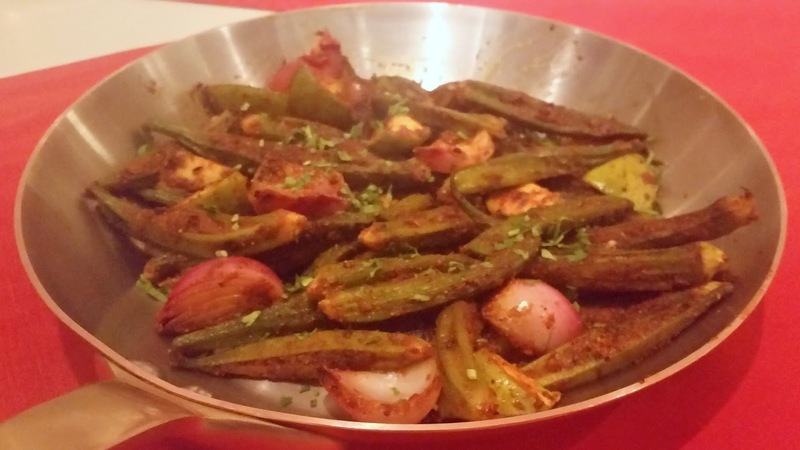 I have been singing paeans about the Bharwan Amchoori Bhindi at Kanak in my earlier posts. I was delighted to see it back on the menu. I loved the small pieces of raw mango in it, which I do not remember from my earlier visits. The Yellow Daal served was absolute soul food. The menu also had some Lucknavi Murgh Biryani, as well as some well-prepared creamy Butter Chicken. 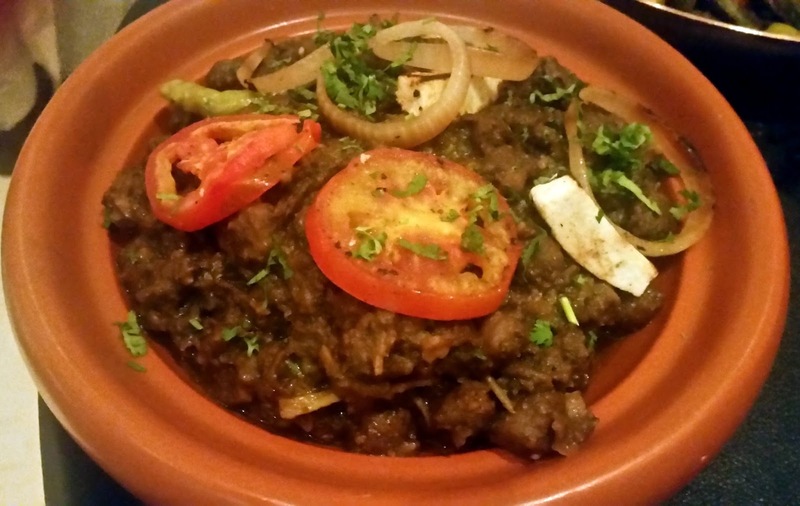 I had tried out the Pindi Chole earlier, and this time, it was quite good too. The dessert served was Dudhi Halwa which was rich in dry fruits. I remembered having a great phirni during the last festival, which must still be on the menu too. This is one of the festivals which should not be missed by connoisseurs of Indian food. The recipes have been chosen after lot of research to provide a complete experience of North Indian cuisines. The festival is on till 30th March and Kanak is open only for dinner.